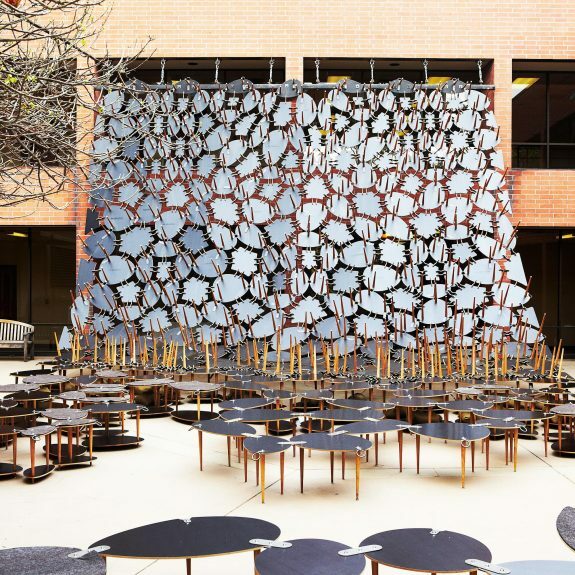 Ball-Nogues Studio, masters of “instant architecture,” have produced yet another one of their magnetic social gathering areas: the installation Table Cloth for the UCLA Herb Alpert School of Music, Schoenberg Hall. 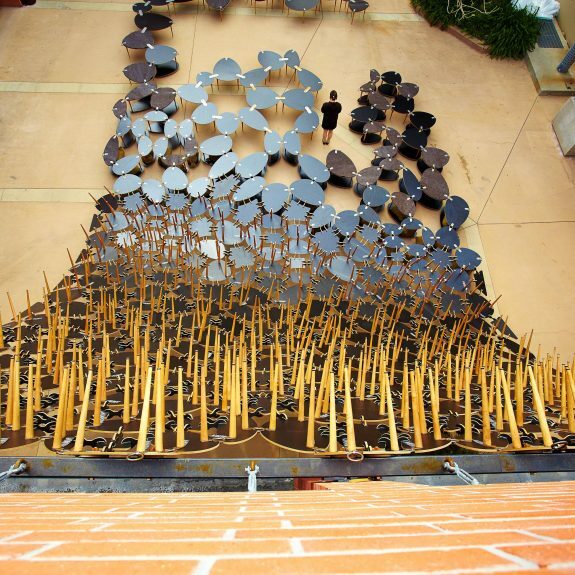 The piece is intended to evoke creativity in various aspects and at the same time transfers the perception of sustainability to the next level: “cross manufacturing” defined by Ball-Nogues as the ability of building modules to remain in practical use even after their often short-term “stage career” as building blocks of the installation has been terminated. Getting together around the dining table has always signified organization and social interaction in American culture. 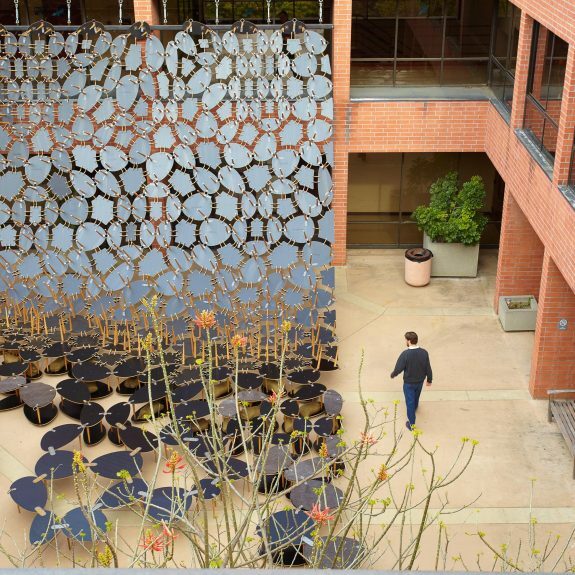 “We see this project like the cloth adorning a dining table; however, at Schoenberg it will adorn the courtyard, an important social hub, and will facilitate community at the scale of the University,” says co-creator Benjamin Ball. 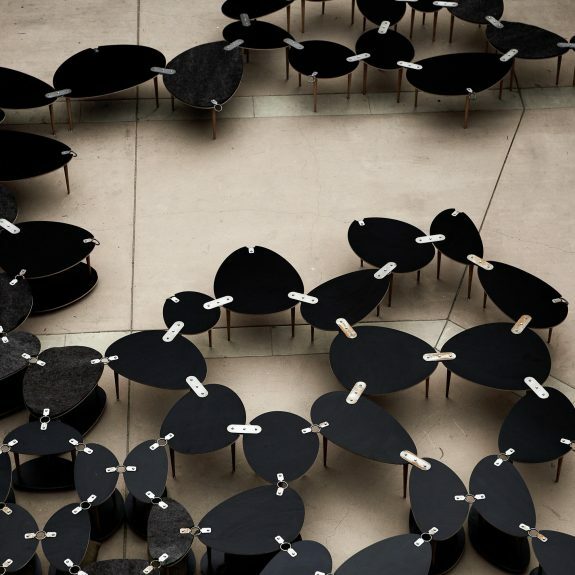 Table Cloth was constructed of nearly 500 unique tables and three-legged stools that were attached to each other and subsequently suspended over the east side of the Schoenberg Building. 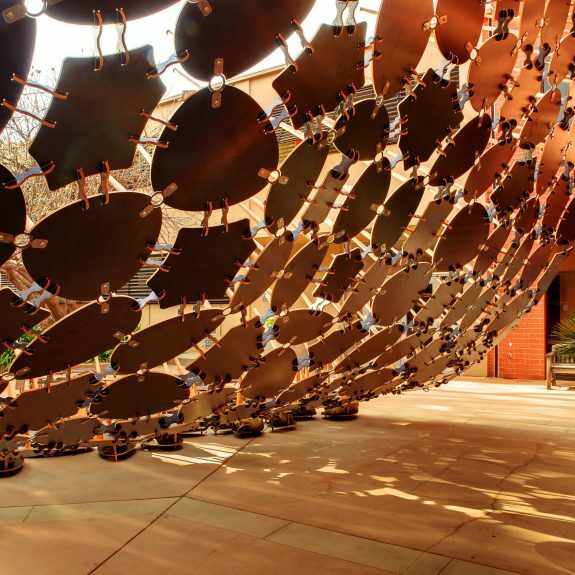 The 3D “fabric” meets the ground where it is transformed into a seating area and stage setting for various performances. 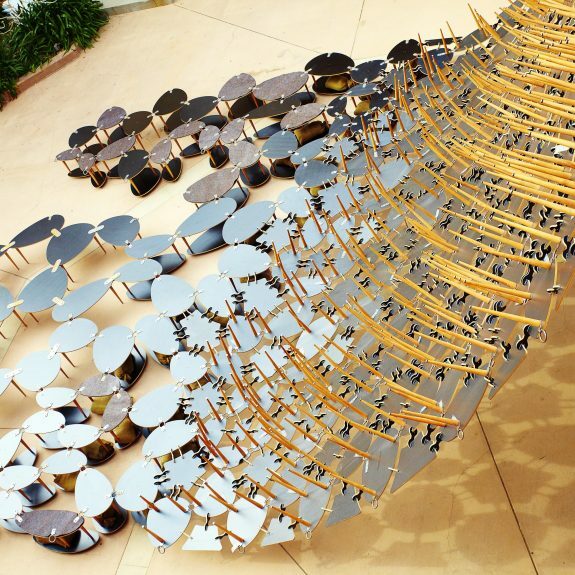 After dismantling the installation sometime during the Summer quarter, the individual pieces will be donated to the school community for use as tables, chairs, model stands or whatever the new owners determine. 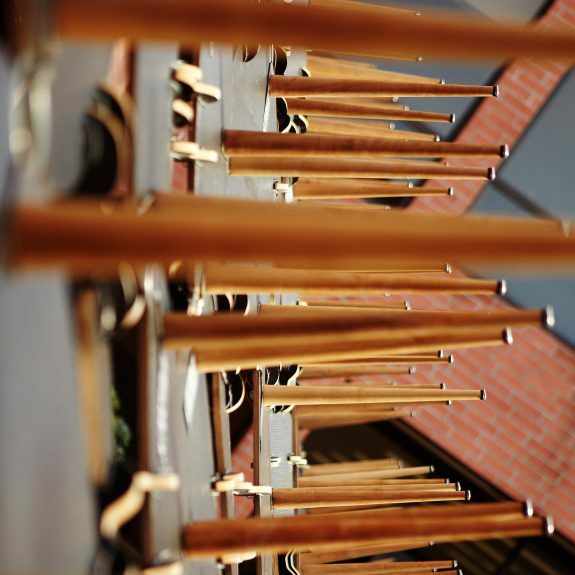 The official opening of the installation will take place this Monday, April 26th, with intimate student performance starting at 5 pm. For more information, click here. 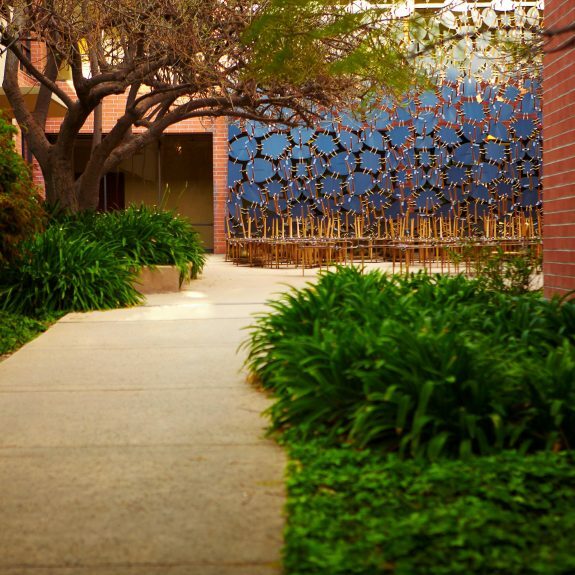 The photographs in our gallery were provided by Scott Mayoral, with the support of UCLA AUD Department.